The Future of Coaching Collaboration (FCC) is a multi-stakeholder group including representatives from corporates, leading professional bodies in the UK, academia, research institutes and Coaching at Work. FCC was launched in April 2015 with the aim of collaborating, professionalising and innovating to safeguard the coaching profession. The group emerged from the Coaching at Work-led Accreditation Forum, which gathered professional body representatives with coaching sponsors to increase collaboration. Work done by members of the Forum led to a number of initiatives including a set of comparison tables, comparing professional bodies’ ethos, rationales and philosophies. These can be viewed here. The FCC seeks to be wider in scope and communities represented. For example, it now includes representatives from academia and has expanded its focus to include developing guidance on best practice; continued alignment across accrediting bodies on standards and quality control, and ethics, including a common code of conduct. 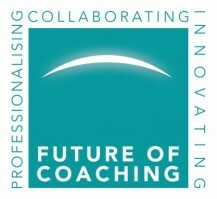 The Future of Coaching Collaboration Guidance Document has now been published. This can be downloaded from this link: FCC Guidance Document. Coaching at Work continues to facilitate the group and is to provide an online independent ‘home’ for the group. And individuals who formerly worked at News UK, and at Kent County Council.